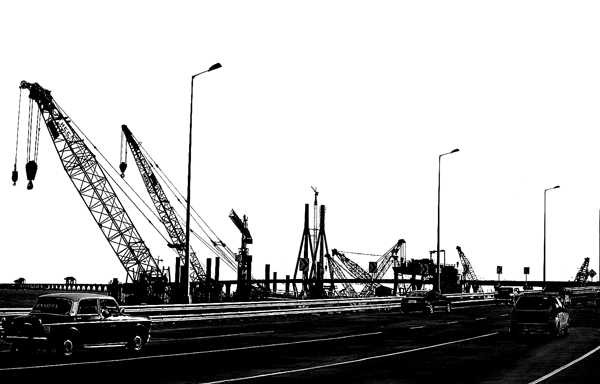 Silhouettes of cranes used in construction. 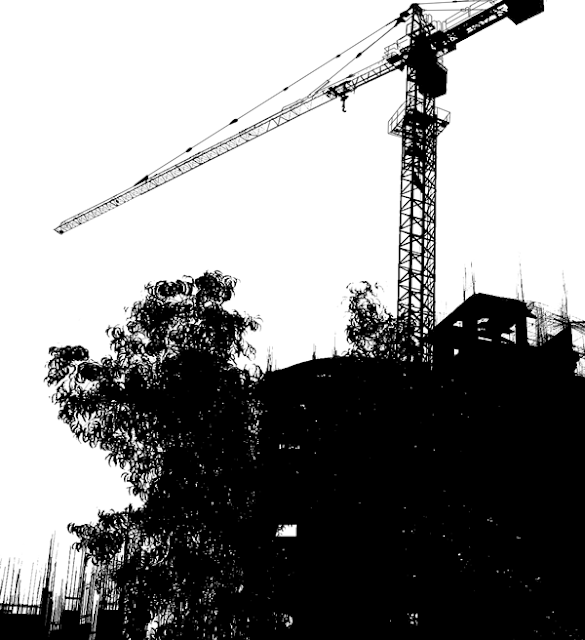 This one is a large crane silhouetted against the background of an under construction building. A row of cranes next to another another which are being used in the construction of a bridge. Or all Silhouettes on this website of people and places.